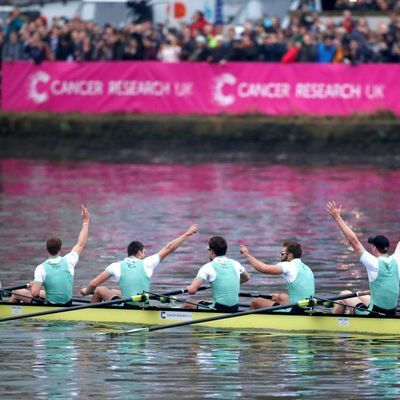 The Boat Race is an annual contest between the rowing crews at Oxford and Cambridge Universities, and for the last three years it has helped to raise funds and awareness for Cancer Research UK. This much-loved event dates back to 1829, when the very first Men’s Boat Race was launched as a friendly challenge between old schoolmates. Nearly a century later, in 1927, the first Women’s Boat Race was hosted, and it became a permanent part of the event in the mid-1960’s. Now the Recovery on Water (ROW) Associate Board is bringing the competitive tradition to Chicago! Join us on April 7 for the third annual Viewing Party where you can enjoy breakfast, drinks and a little rivalry action. Where: The Avondale Tap | 3634 W Belmont AveWhen: Sunday, April 7 | 8:00am-11:00amWhy: The ROW Associate Board is comprised of talented young professionals that have aligned to spread awareness of and support for the ROW mission through events, a volume-based donor pool, and volunteer and coxswain recruiting, training and management. Proceeds and donations from this event support Recovery on Water, providing the funds needed for team programming, athlete scholarships, safe rowing equipment, boat maintenance and much more! Expect prizes! Raffle tickets will be available on-site for cash-only purchase—get three tickets for $10! Can’t make it to the event? Please consider making a one-time or recurring tax-deductible donation to our giving club HERE!